I don’t laugh snidely at the films of Ed Wood. I find them encouraging. Unjustly renowned as the world’s worst filmmaker, he was a frustrated transvestite in real life & managed to put together & star in his own highly personalized, heroically frank semibiographical GLEN OR GLENDA about the hazards of cross-dressing, a potentially difficult enough proposal to embark on nowadays, never mind when it originally came out in 1953. 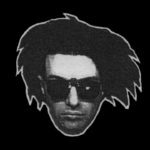 In this review I explore the later part of Ed Wood’s career that Tim Burton’s biopic didn’t go into, culled from the highly recommended book Nightmare of Ecstasy (Rudolf Grey, Los Angeles, Feral House, 1992). This is probably my favorite Burton flick. 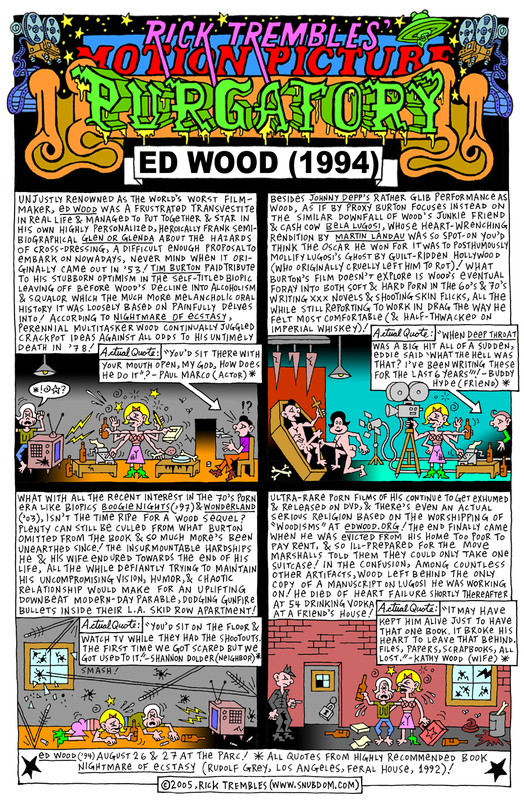 The heading for this Motion Picture Purgatory which originally appeared in a 2005 issue of The Montreal Mirror was “Woody for Wood!” (To see image full-sized, click on it to open in a new window & use the magnify function).